With its forthcoming Space Launch System, NASA hopes to send astronauts farther into space than it ever has ever before—to Mars and beyond. And when the first crew does leave to make interplanetary history, they'll do so aboard these rocket engines. First developed nearly 30 years ago, the RS-25 rocket engine has been hailed as the "most reliable rocket engine ever built." Aboard the Space Shuttle for all 135 missions, a trio of RS-25 engines mounted on the back end of the orbiter could produce up to 491,000 foot-pounds of thrust each while being fed a mix of liquid hydrogen and liquid oxygen from the shuttle's external fuel tank. 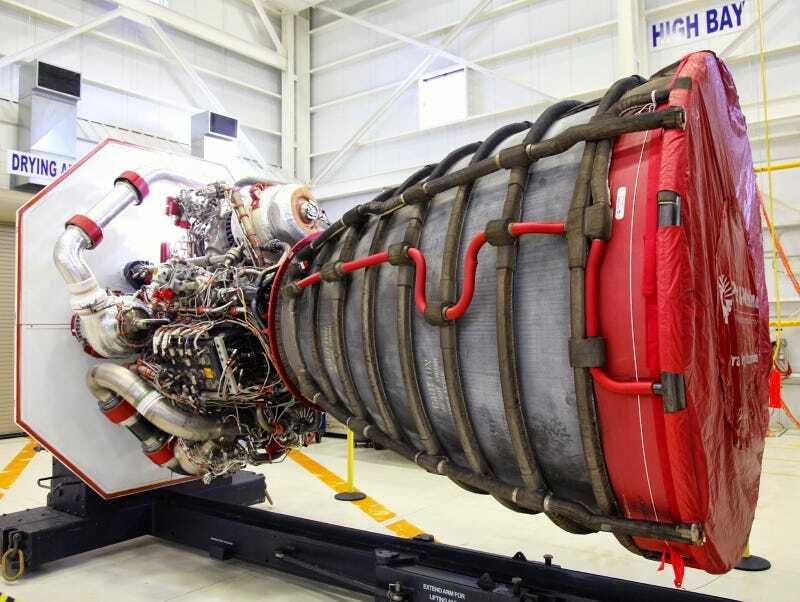 But the thrust needed to get a crew to the Moon won't do much good when sending them to Mars or farther, so NASA has spent the better part of the last year upgrading its stock of 16 such rocket engines—each now producing 512,000 foot pounds of thrust. Early tests on the engine will collect data on the performance of its new advanced engine controller and other modifications. The controller regulates valves that direct the flow of propellant to the engine, which determines the amount of thrust generated during an engine test, known as a hotfire test. In flight, propellant flow and engine thrust determine the speed and trajectory of a spacecraft. The controller also regulates the engine startup sequence, which is especially important on an engine as sophisticated as the RS-25. Likewise, the controller determines the engine shutdown sequence, ensuring it will proceed properly under both normal and emergency conditions. "This test series is a major milestone because it will be our first opportunity to operate the engine with a new controller and to test propellant inlet conditions for SLS that are different than the space shuttle," Steve Wofford, SLS Liquid Engines Element manager, said in a press statement. "This testing will confirm the RS-25 will be successful at powering SLS."